Why Indian companies are betting big on AI? It’s now a frantic race and you will have to speed up. Companies are now readily diverting more and more resources towards AI capabilities. Today fast growing firms intensifies its focus on building a strong data repository, all thanks to the explosive growth of interactions, to catalyses the adoption of AI(Artificial intelligence) . Companies today use machine learning to train its systems to vastly expand the languages, colloquialisms, words and strings customers. In India, arguably Swiggy is the first tech star to implement AI. Previously, Google, Flipkart, Paytm, and several other global players have all invested in and acquired companies to boost AI. From the past few years, start ups and large companies have been relatively running small experiments with AI. But now the space is accelerating, for evidence; unicorns are diverting in this direction. 4. The growing complexity of machine learning and self-improving algorithms. Even though there’s widespread debate on its utility and applications, AI has still managed to become some sort of magic wand to wave at all tech problems. Fresher’s focusing on niche areas in AI are receiving investor backing, winning deals and customers and, most notably, specialists in the field, like data scientists, are in huge demand. Statistics showcased that in 2016 India ranked third among G20 countries, measured by the number of AI-focused startups, which have increased since 2011 at a compound annual growth rate of 86%, which is higher than the global average. Restrictions in the Indian market however could slow the AI momentum. In India, the quality of data continues to be an issue. The range of diverse demographics, languages and cases limit the consumer applications to learn on the go. Secondly, India’s startups focusing on AI continue to be under-invested by risk capital investment providers, compared to China and the US. The applications of artificial intelligence have boosted at an accelerating rate and showing signs of great economical impact. Creative Social Intranet today works immensely on the AI platform and has seen this remarkable growth and scope in many of its features. It gets particularly interesting for all to know what AI can bring to organizations through the role it can play in the digital workplace as represented by the Creative Social intranet’s platform. Hence it is currently become a hot topic for us at Creative Social Intranet and for our peers, as to how AI can be implemented and what value should it bring to the employee experience. Listed below are Three possible worthy implementations of AI in a company intranet, among many others and these are likely to drive future decisions we make for integrating AI technology into Creative Social Intranet Platform. The AI Chabot plan ahead about queries that would come from the user. Creative Social Intranet is focusing on AI driven chatbot that is more quick and intelligent to be launched in 2019. In basic terms, a chatbot that is able to think what to do when a user places his request. So what you want your chatbot to do? You can either make the chatbot assist the user or collect information and data from the user. As soon as this cycle moves ahead, the chatbot knows the action it has to take to help the user effectively. The chatbot now needs to act. In simple terms, chatbot must think what to do when a user places his request. The chatbot must convert orders received from a user into an understandable form and then store it in a knowledge base and then the chatbot takes action to achieve pre-defined goals. Your day is filled with various types of meetings. Creative Social Intranet set them all up. Let you set up meetings for other people other then company employees. Employee engagement includes creating a holistic environment that promotes employee role, skill development, recognition and mental health. Previously before artificial intelligence, the methods adopted to boost employee engagement have not shown desired results. Artificial intelligence has really empowered companies to tackle the engagement challenge, efficiently. Creative Social Intranet’s Artificial intelligence has shown a great impact in turning things around when it comes to employee engagement. At a fundamental level, almost all of companies member data is generated by members themselves. As a result, one company might have a job called “senior hr manager,” while at another company, the same role would have the title “lead hr head.” Multiply this by millions of member profiles and it becomes clear that providing a good search experience for recruiters, where all of these varying job titles show up, can be a very challenging task. Creative Social Intranet looks into standardizing that data in a way that AI systems can understand. It will be a good search experience, and that standardization involves both human and machine efforts. The taxonomies of titles are related. Understanding these relationships allows us to infer advanced search which uses AI to find the related terms and suggest best closest to the users targeted keyword. Currently, AI is being seen as an effective powerful tool for boosting employee engagement and improving the way people are being recruited, trained and retained in organizations around the world. Communication, Connection, Collaboration, automation in HR work-flows, and sophisticated onboarding have made such a difference in 2018. But what’s coming next? The use of virtual reality by the employees in their workplace is still not very common. It can become a common term in the future. VR can become a cost-cutting method in training sections like customer management, in use of machinery and other activities. It can train people in a fast and better way. It can also provide a better method to the younger workforce and can come out as a good understanding method of training than webinars in teaching site courses. It is a best and powerful way by which your employees will surely get motivated and engaged. An HR can become successful when he listens to his employees as much as possible. But it is not possible for him to listen to all employees directly or through a phone. This barrier is overcome by Creative by using their Social Intranet product. In their communication feature, they provide all employees with a feedback form, conduct polls, and surveys to provide their views in the company and get motivated. By this, employees can read and understand the information and can comment on them. If there are many employees from areas where language is a barrier to understand, then the NLP tool can help you overcome the language barrier. 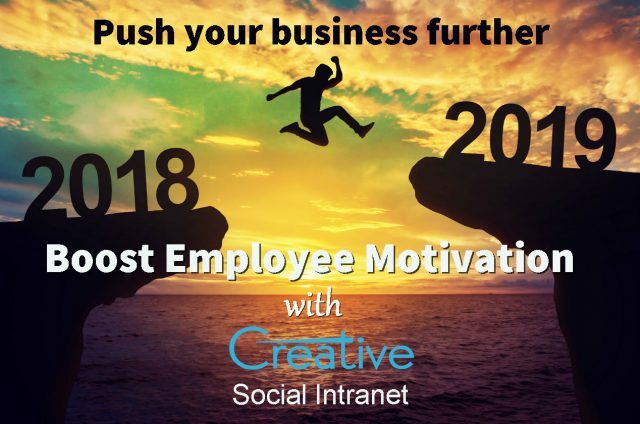 Third important service provided by Creative Social Intranet to the to employees is gamification. 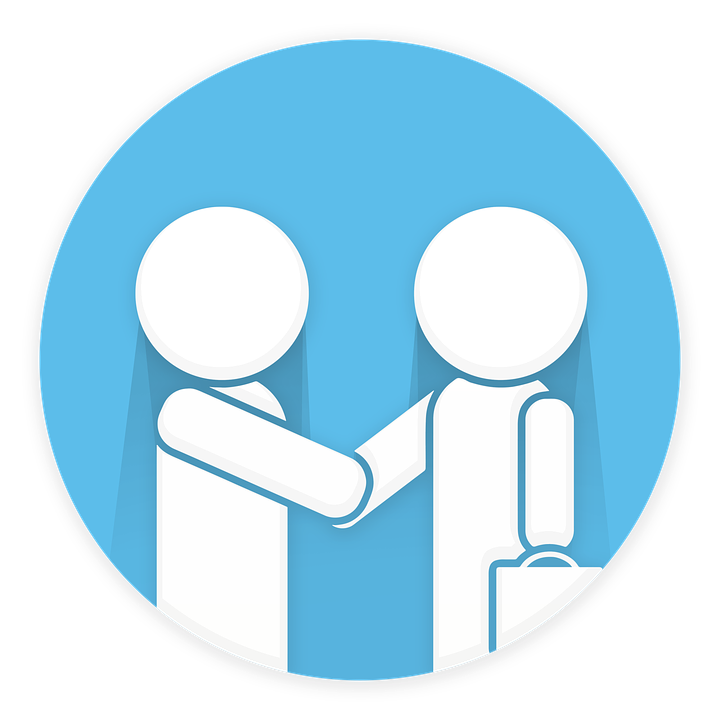 Companies use the policy of giving points or gifts to customers making a purchase of their products and thereby increases sales. Similarly, employees are also given points and rewards for their achievements, good work done and many other things done by them in the company. For example, keeping a tidy desk, regular engaging in social events, car-sharing, following the company values, charity work and mentoring programme for new employees, completing tasks before time, team management. It can be done by making it a game in which achievements and rewards result in points. Good work is recorded automatically using classification software and these points are shared publicly in the company through an intranet. This encourages the employee to do better and increase his point level in the co by doing a good job. This can lead to customer satisfaction, provide on-time deliveries to customers and thus increase the volume of sales. But it should not be the only way to get your work done. The data we have is very much useful in taking decisions and understanding past activities. But it should help us to predict our future needs. This feature helps us in employee engagement by predicting the causes of employee stress or dissatisfaction and by solving it. 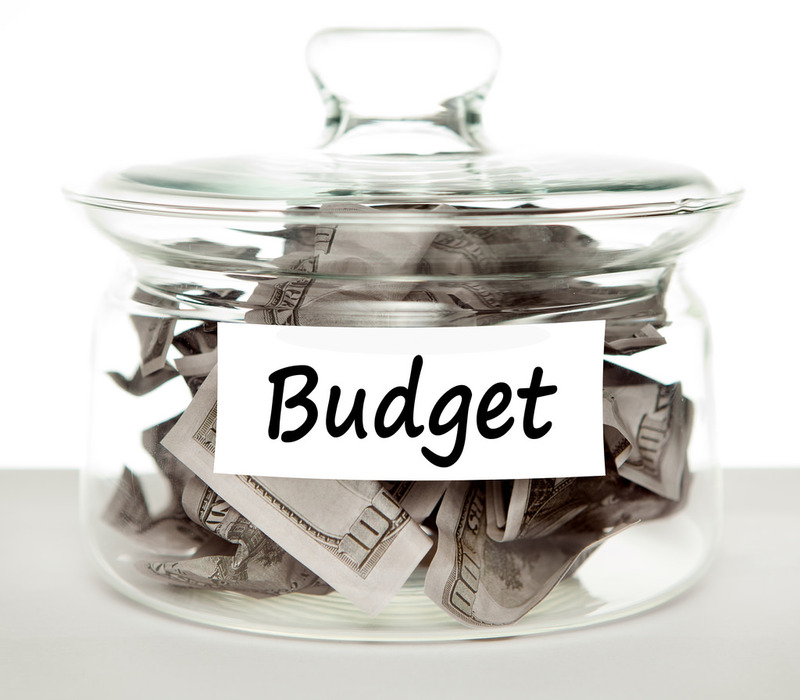 This will help you to save your business a great deal. This is one of the important aspects of the business. The company should be updated with all new technologies or systems launched to train their employees and thereby increase the outcome. Online learning is available in all fields. So the company should provide this facility to their employees for their personal development. Otherwise, their employees may remain backward. Businesses who provide training on many fields to their employees can only become successful in today’s trend of 2019. Health and Wellbeing of the employee have become one of the main issues to be given attention in companies. One can improve this condition by encouraging their employees or staff to talk to their peer group about their feelings and workload. They should be provided with wellness facilities like fresh air environment to work, fresh juices and mineral water at their workplace in regular intervals which will help them give their best. Many companies spend a lot of money on developing their brand by way of brand values, the promise of brand quality etc. This is done in order to help employees present their company properly and regularly in front of people whenever they come in contact with them. A business which invests in an internal communication system and makes the brand known to all employees will surely watch rise in the performance of the employees and increase in business. 2019 is fast approaching and you must make sure that your business can combine some of these methods into its operation. 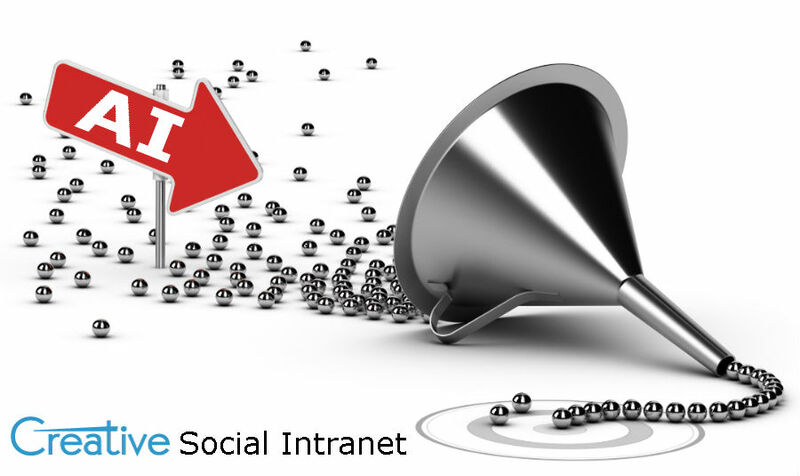 Improve your employee engagement and company productivity today with Creative Social Intranet. Hints that your Intranet reveals in a day to day search. Use of content available on the company intranet to determine intranet result relevancy. identify the content that makes sense, and then use it in the search query. Managers can perhaps see content that first-line employees cannot see. Ask yourself, What kind of content might be helpful? The most common ones will include people, places, queries, and viewed documents. Companies are continuously realizing the importance of reading into real-time signals received from intranet activities. Every intranet may not be developed using the classic big data model, but the analytics for real-time actions can help you improve the intranet user search experience. There are many free analytics software available on the web which can be integrated with the intranet. When someone searches on the intranet, you get the signals of the particular term or related terms searched by various users the maximum number of times. For eg: Company users search for “Christmas holidays” number of time. You get a signal for the term Christmas holiday. You can add related keywords like Holiday list 2019, Leave policy etc. Not all signals, even strong ones, are legitimate. In any case, until and unless if an intranet search user leaves or changes roles, those signs will be useful. The real query is how to determine which signals are important? With the help of analytics tool available today, you can track the keywords, no. of searches, clicks and path funnels. You can access the content of intranet easily. This can help you decide which signals are the important ones. While assessing an intranet, A user initially looks for elements which are easy to use and then uses a search bar for the searching field. Allowing users to share their experience while using the intranet by placing a poll on the dashboard can help in assessing the success of a user journey — and measure their satisfaction. 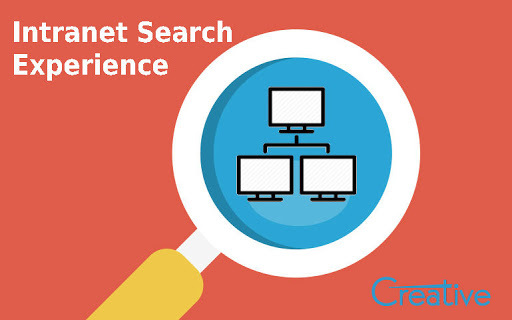 This can help in improving further search satisfaction. Things are very complicated when your intranet has content in multiple languages. That’s the reason that 64 percent of intranet surveyed organizations in 2018 only operated in a single language. Another idea which can be applied is using hybrid intranet solution, by installing intranet in their specific languages in respective centers for companies having branches in multiple countries and using one gateway online which will translate data in English which will be accessed by all in any location. With respect to multilingual search to the extent to which the meta data tags are consistently applied in each language. These tags may well be concepts (‘marketing’) and require an in-depth knowledge of the specific language. No Or Poor Communication: Throughout the project, an effective communication is always needed between all the project members. These members could be from different departments of an organization. Creative Intranet Software brings them all on a common platform, where they can share information, project progress and future plans. Lack of Experience: Individuals with years of experience are necessary to handle project. Creative Intranet Software can be used to stay connected with experienced employees and get help from them on different project processes. Mistakes By Employees: It is obvious that some employees will make some mistakes while handling the project, which may increase the overall budget. By using a common social online platform, every step related to the project can be discussed with other projects members to eliminate mistakes. Waste of Material Or On-site Damage: Sometimes, workers could not use the available resources in the right way, or they damage some tools while performing their duties. By using Creative Intranet Software, project members can discuss how to use resources in an accurate manner and how to avoid damage while performing the designated duties. Absence of Employee: Sometimes, some employees may need a break from their work due to some personal issue. There are chances that assistance from the absent employees is needed for the project’s process. When Creative Intranet Software is used, employees can contact rest of the team members and help them in surpassing hurdles anytime and from anywhere. 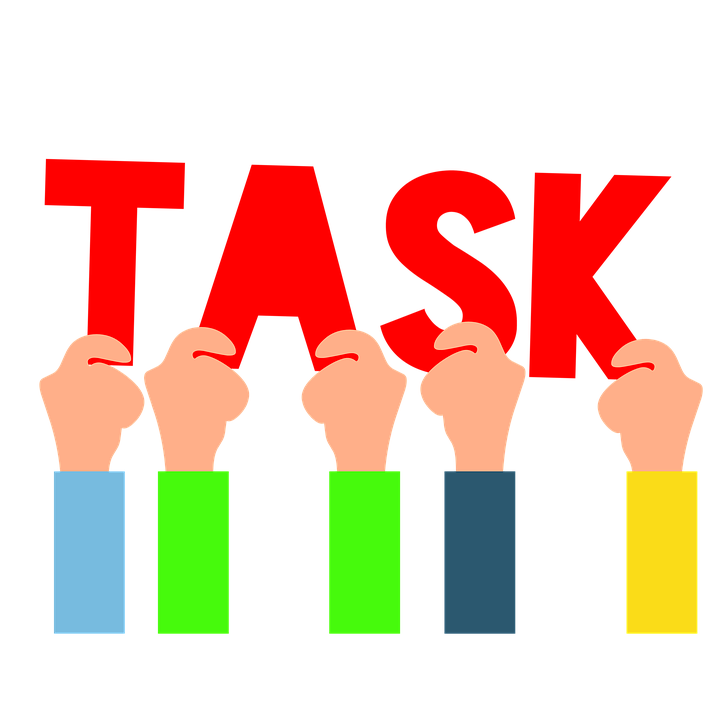 Extra Time To Complete Task: Some employees, sometimes, may take extra time to finish their duties. It may be due to several reasons. Experienced professionals can assists such employees on Creative Intranet Software and help them complete their tasks on time. Unfavorable Environment: In an organization, a situation may occur where some tools stop working. This may lead to time waste. But if Creative Intranet Software is being used, employees can work with their other digital devices and continue contributing in the project. Poor Future Planning: When only one, two or a few people are allowed to make decision for the overall working of a project, then there are chances of taking poor decision for the future. Creative Intranet Software brings all project members of a common place where they can make decisions for the project’s future processes. Inaccurate Resource Allocation: To ensure right progress of a project, resources should be allocated in the right manner. Top management can use Creative Intranet Software to ensure the resources are being used in the right manner and track the progress on them. Lack in Relationship With Consumers: Those who are going to use the project can also affect the overall cost of it. Creative Intranet Software can help in identifying what consumes think of the project and what changes they want to see in it. An intranet is a private network which is used by companies and organizations within a specific location or area. It is a highly secured network and that is why prevents any kind of unauthorized use which can be harmful to your business. Nowadays most of the companies are switching to intranet and looking for customized design intranet that goes with their business needs and the budget. It is definitely not easy to design an intranet and so you need the assistance of the experts for the same. Every business has its own requirements and that is why their intranet needs will also differ. 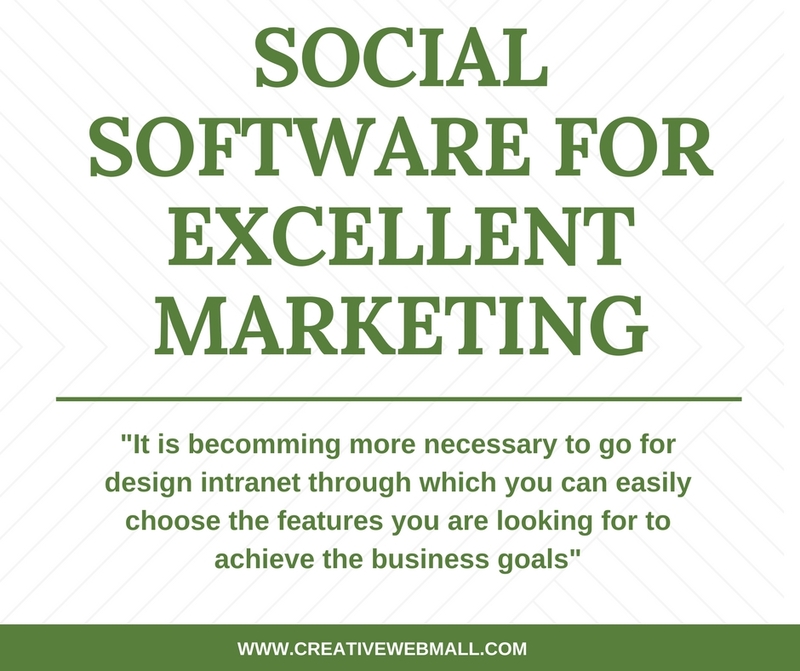 That is why it becomes all the more necessary to go for design intranet through which you can easily choose the features you are looking for to achieve the business goals. Thus you are able to personalize it and easily accomplish the purpose you wanted to. Going for the traditional intranet is not a great thing and that is why most of the companies rely on the design intranets one of the top options of the present time. You can look forward to the following advantages. Going for the design intranet is definitely a smart decision but it needs to be backed with the assistance of the professionals or the things can go wrong. Getting in touch with Creative and their professionals can prove to be a worthy decision as they offer the right design, and features which can improve your business and that too in your budget. So why compromise when Creative can offer you load of designs to match up with your choice, requirements, and the cost.